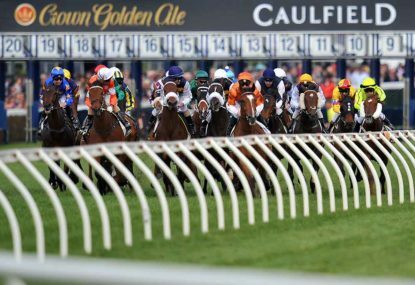 Like usual I will be running through my thoughts on the early quaddie and the regular quaddie. It took a blinding run from Widgee Turf to beat him first up from a spell. Goes well second up and gets to a mile, can win. This horse is flying in really great form. It flew home last start over 1400 metres to beat Turnitaround, who we mentioned already. There’s no reason he can’t win again. First crack at a mile shouldn’t pose any worries. He was very good last time at Caulfield, finishing third behind Widgee Turf and Turnitaround, so that form ties in well. This horse loomed up to win last start but just faded the last little bit behind those horses we mentioned earlier. It’s fitter for that run and steps up to the 1600 metres – a big winning chance. It was solid last time out at Bendigo in the Golden Mile behind Dodging Bullets. She finished third on that occasion and can figure in the finish here. It won a trial well then went to the races and was solid on debut, finishing second behind More Bricks. A drifter on debut but was solid to the line, finishing third at Ballarat. This is a first starter here, but it has had a couple of recent trials in preparation for this and looked good there. This horse sat on speed on debut at Moonee Valley and chased a smart one home. It then went to Bendigo and beat a good field in good time there. Was solid on debut with a good finish then was set around a long odds-on favourite at Sandown and got the job done there. Led and gave a sight on debut, ridden colder and made ground at Flemington in a Group 3 race, then went to Mornington and was grabbed late there, finishing third on that occasion. Resumes here. Got going when the race was over at Geelong, then was good behind the smart Seberate, who ran well in Blue Diamond lead-up races. Another first starter here. Had a trial at Tatura, where she finished second. She then had a jump-out and showed speed. She was then hard-ridden to win that jump-out, winning chance. Did nothing first up then stepped up to 1600 meters at Bendigo and was ridden on speed to get the win there. A Promising stayer who was very good fresh at 1400 metres. Had no hope at Bendigo when pattern and tempo was against him on that occasion. This suits! Just got too far back last time out but ran on pretty well. Ready for the 2000 metres. Wide last week and stuck on well, had excuses prior to that. A Group 1 winner at 2000 metres on a wet track. I’m just going with the one horse here. I think he is a pretty classy horse and one of the better ones on the program. Nature Strip resumes here. He has potential to be a star – he thrashed rivals at Sandown in fast time and then led and got a bit lost up the straight, but it was a good win! Going with just the one horse here, who looks well placed and other of the better ones on the program. Cliffs Edge led and easily held the ATC Derby winner at Moonee Valley, then was sound behind a potential star last time. Very well suited. Has always shown Group 1 ability and broke through for that when he won the Rupert Clarke Stakes, got too far back in Western Australia but was solid to the line, has had a trial to get ready for this. Brilliant trial before a top run in Group 1 Oakleigh Plate from wide. Wasn’t far away in WFA latest; this suits him better. Rushed home last time at 1200 metres. He has a much better record at 1100 metres, and the freshen up suits him. Far too good fresh, then went hard and just lasted at Rosehill but lost the race on protest. A winner was good again. Resumes here, won a trial well recently, was good in a fast race behind the smart Snitty Kitty here fresh last prep. A talented horse. Her closing splits were outstanding fresh off modest tempo. Has won three times second up. Resumes here. Struck a heavy when flopped fresh last prep. A second to Rich Charm and WFA Heffernan, run read well for this. Might well have won fresh with any luck. Was not far off the elite last time, set weights suit here. Back in trip off a freshen-up at Moonee Valley and strong late in messy race. Had last crack at them last time out and won well. Led and controlled the race well to win the VOBIS gold race at Wangaratta and another great ride to win the Echuca Cup. Resumes here. Only four lengths off the smart Washington Heights fresh last prep, won two of other three fresh runs. Chased home Ken’s Dream at Flemington and finished off the race well, then held on okay in Group 1 Newmarket. Was lame in the latest run. Good return in a strong race covering ground at Moonee Valley against the pattern, well weighted last time to win well. 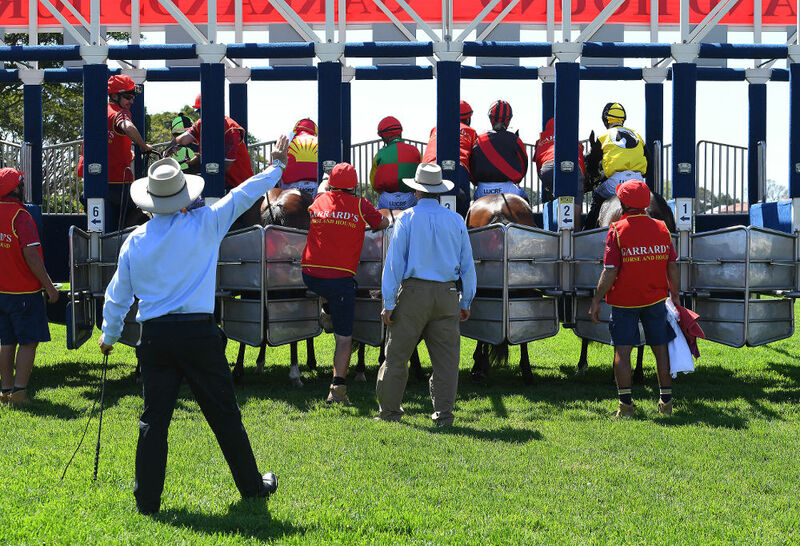 Won three in a row before a tough effort under a big weight at Pakenham. Looks a handy horse and has a case here. Settled behind the pace fresh sticking on okay in an on pace race, race in handy races last prep and can win this. Couldn’t keep up in the Newmarket, then made some ground last start and has had genuine excuses. Big improvement expected here. Only swamped late fresh. Ran along and faded last time out. Ran well in Group 1 Rupert Clarke here. Battled well fresh. Gave all one pace last time should peak here and be in the finish. A bit keen fresh and kept coming okay. Was nearly a year off and comes into this fitter. Has second up form. Made nice ground fresh at sprint trip against the pattern of the night. Nice ride and win at Bendigo. Has Group 1 form. A terrific mare who was sound behind two quality mares, then put in an honest effort in her latest run.